For developers, application logs are critical to figuring out what’s going on inside the apps we create. We tail them. We search them. We analyze and graph them. Graylog2 a slick log management, monitoring, and alerting tool powered by Java, Ruby, and MongoDB, performs these well. Graylog consists of a Java server that collects your logging data and stuffs it into MongoDB and a Ruby on Rails web interface for searching, filtering, and graphing that data. 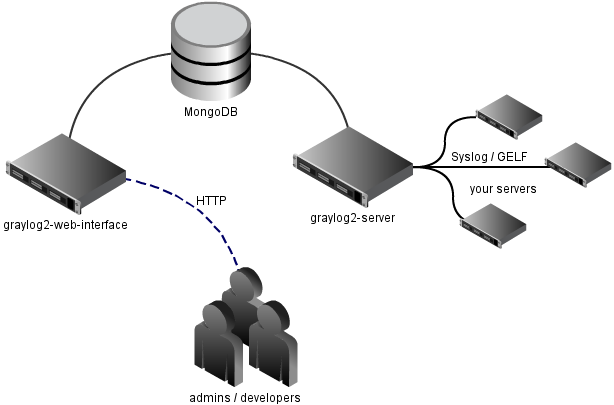 Graylog’s server component requires Mongo version 1.6 or later and a Java environment. Check out the project’s wiki for installation and startup instructions. Graylog also supports AMQP as an alternate transport for messages, just configure appropriately in your config file. A GELF message is just a GZIP’d or ZLIB’d JSON string. Check the GELF Spec for a list of required fields. Graylog also ships with a rather slick web interface for searching and viewing Graylog messages. Filters can be applied and saved into logical “streams”, allowing you to look at a slice of your data. # Description: Just a dummy stream with a not-so-random name but random data. For Ruby web applications, there is a bonus Rack application that allows you to send all application exceptions to Graylog in the spirit of Hoptoad.